In 2016, Canada was ranked the third most sleep deprived country out of a survey of 13 nations. 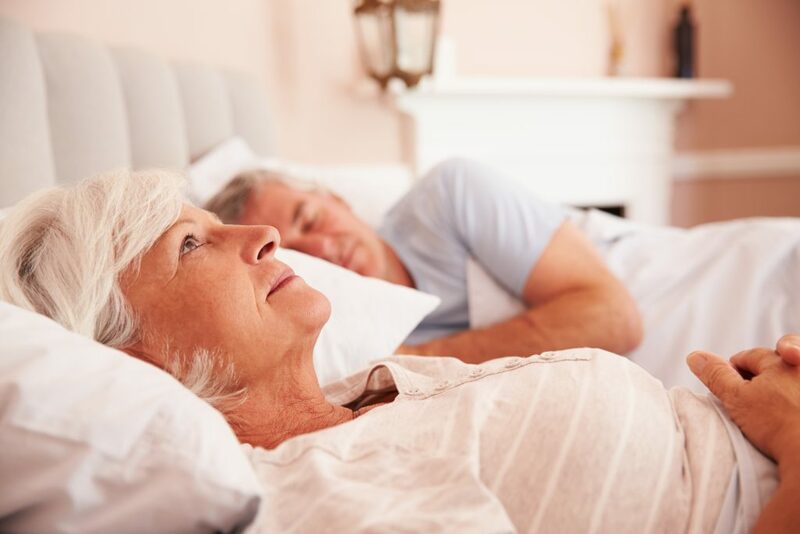 As we age the quality and duration of sleep we need changes, and addressing sleep issues is crucial to staying healthy and happy while aging. Getting the optimal amount of sleep can help you stay sharp and feel energized throughout the day. If you enjoy a bit of TV before bed, or you like to unwind in the evenings with your tablet or computer, it could be affecting your ability to get a good night’s sleep. Electronics emit a type of light called “blue light,” and blue light affects your brain’s levels of a hormone called melatonin. Your brain needs the proper amount of melatonin to maintain its circadian rhythm, and an interrupted circadian rhythm means you may wake up tired, struggle to sleep through the night, or have trouble falling asleep at the proper time. If you find the background noise of your television to be soothing while you sleep, try switching to the radio; it will offer you the white noise you need without emitting light to affect your sleep. If entertainment is what you seek, try reading a book to unwind at the end of the day. Listening to music is proven to reduce stress and improve cognitive function in seniors, so try putting on some of your favourite tracks to calm down before bedtime. If you’ve been having trouble sleeping, take a moment to evaluate the environment you enter every time you go to bed. Is it completely dark? Is there a source of noise? Are the windows open or closed? Consider adjusting the environment you sleep in to see if it positively affects the quality of your sleep. Try things like black-out curtains and white noise machines to adjust your sleeping environment, and keep a journal to track how effective each small change is to your quality of sleep. Soon, you will be able to tune in to what works for you to get the best night’s sleep possible. The smell of lavender is known to reduce stress and promote restful sleep, so try an essential oil diffuser to spread this calming scent through your sleep environment. Sometimes we feel like we need those precious few minutes that the snooze button allows us, but scientifically, it’s actually damaging to our sleep cycle. According to TIME Magazine, if you ignore your alarm to get a few more minutes of sleep, “you’re plunged back into the beginning of the sleep cycle, which is the absolute worst point from which to wake up.” Set your alarm for the same time every day, no matter what commitments you happen to have in the morning. Committing to a nice early wake-up time, even on weekends, is crucial to maintaining a healthy sleep cycle. Or, try putting your alarm clock out of reach. If you have to turn on the light and get out of bed to stop your alarm, you’re less likely to want to crawl back in. According to Harvard Health, exercise increases your brain’s levels of sleep inducing hormones like melatonin. If you aren’t able to sleep at night, it’s possible that your body needs more exercise in order to get properly tired out before bed. Try a brisk walk after dinner, or light yoga to get the endorphins flowing and help you unwind mentally and physically before trying to fall asleep; here are three simple poses that are designed to assist those who suffer from insomnia. The key to getting proper sleep is finding a routine that works for you and sticking to it. Take this Sleep Profile Quiz to learn more about the type of sleeper you are, and to get helpful tips to improve your sleeping habits. Your Bayshore caregiver can help you on your quest for a good night sleep, be it by relieving the stress of household duties, keeping you on track with your medication, or by helping you find the perfect sleeping environment. A good night’s sleep is crucial to health in aging, and taking the steps needed to more restful sleep can be made a little easier with home care help.